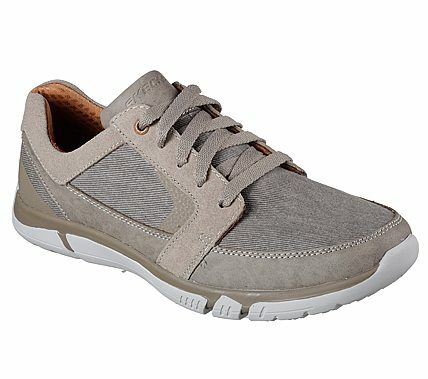 Keep coming back to the very wearable style and all day comfort of the SKECHERS Edmen - Ristone shoe. Smooth leather, soft suede and canvas fabric upper in a lace up sporty casual sneaker oxford with stitching and overlay accents. Air Cooled Memory Foam insole.